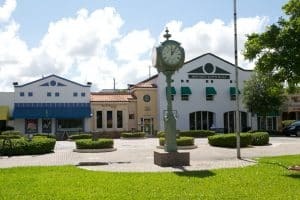 There are many wonderful places to move to in Florida, and Homestead is certainly one of them. Located within the Miami-Dade County, this city is surrounded by National parks and is a perfect place to enjoy Florida’s gorgeous weather all year-round. Leave any thoughts about moving to Florida to the professional team of local movers, namely us! Easy Florida Moving is here to take care of any unexpected difficulties you may face when relocating your business or your home. We Know Florida; Therefore we are aware of the traffic patterns, and other difficulties you may experience when moving to or from Florida. Flat Rate, no surprises, no excuses. This is the reason we are different. You may have had an unpleasant memory of a moving company that changed the rate due to “unexpected circumstances”. Easy Florida Moving is not one of them. Your move will be much more pleasant when you know what you will end up paying for! Highly Efficient, Punctual and Reliable Team of professional Homestead movers. We know this business, we know this area, and we can answer any of your questions 24/7. Top-Notch Packing services are available at Easy Florida Moving. We use only the best, highest-quality materials, like plush blankets and sturdy boxes, to perfectly match the requirements of each item. Your belongings are safe with us. Exceptional Care For Specialty Items. We know how to move your grand piano, art objects, pool table, or plants. We are Homestead licensed and insured movers, so your priceless objects will be handled with great care and respect. What Types Of Moving Services Do We Offer? Aside from being a highly rated local Florida moving service, we are well-known in providing long distance moving as well. We will be able to professionally pack and deliver your belongings, assemble furniture, store items if your plans change, and just take care of business from start to finish. No move is too large or too small for us – Easy Florida Moving is ready to take any job, whether it is an office moving, in-state relocation, or out-of-state residential moving. You may be sure that our local Homestead team of movers and packers will be there on time, with a positive attitude and confidence in the services we provide. When it comes to the moving business, we are men of our word. Easy Florida Moving is famous for the punctual, reliable team of movers and customer service representatives that will make your move easy, hassle-free, and most importantly, enjoyable. We are always on time, and never over the budget. Our team takes pride in continuously improving our moving services, expanding our knowledge every day, and challenging ourselves to the most complicated tasks. There is no wonder why we are the Best Moving Company in Homestead and throughout South Florida! To start with your moving process, give us a call to get a free relocation quote. We will be happy to make your move as easy as a breeze!